In his remarks on meeting Abisoye, Vice-President Yemi Osinbajo tweeted: "Last week, I met a delegation from Pearl Africa Foundation led by Abisoye Ajai Akinfolarin. 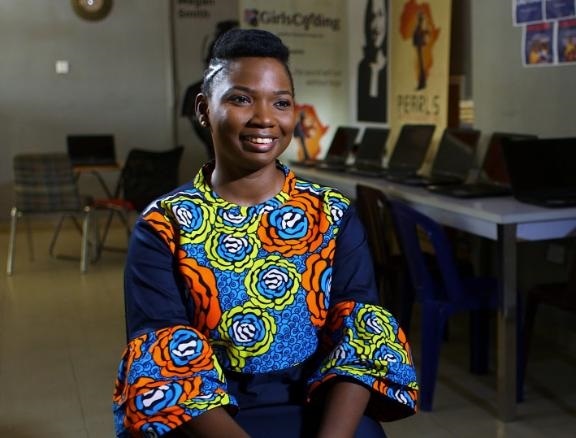 This foundation helps disadvantaged girls in Nigeria gain necessary technology skills and confidence. I honestly believe the work the foundation does is outstanding. Incidentally, Abisoye has also been nominated as CNN Hero of the year. To win, she will need our help. Follow the link and vote for her and the outstanding work she is doing with young ladies in Nigeria".